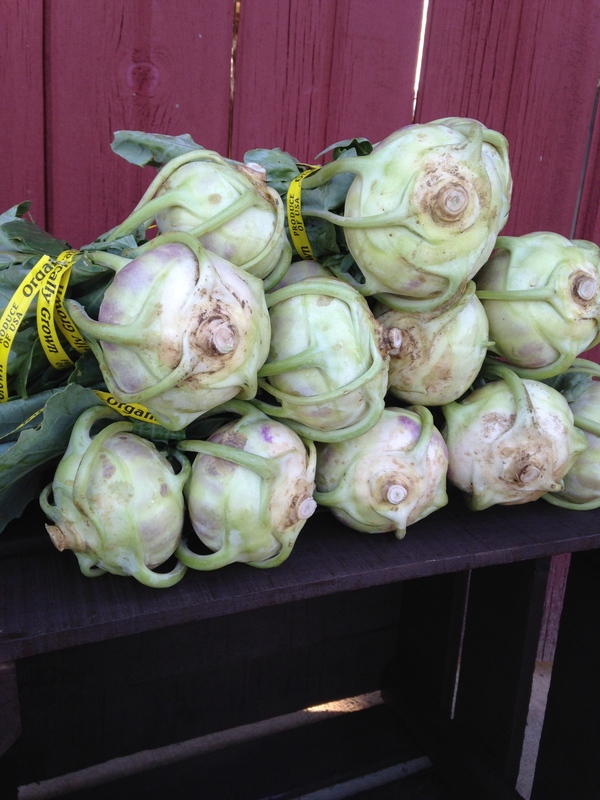 Kohlrabi is a large green leafed vegetable with a swollen round stem. The leaves and stem are both used. The leaves can be used in place of any recipe calling for kale or collards. The baseball size stem is delicious raw. It tastes similar to cabbage but is sweeter and juicier. Simply peel away the tough outer skin and then slice. We also grow a variety called Kossak that is meant to get very large and stores well. It has the same flavor and texture as the small kohlrabi. 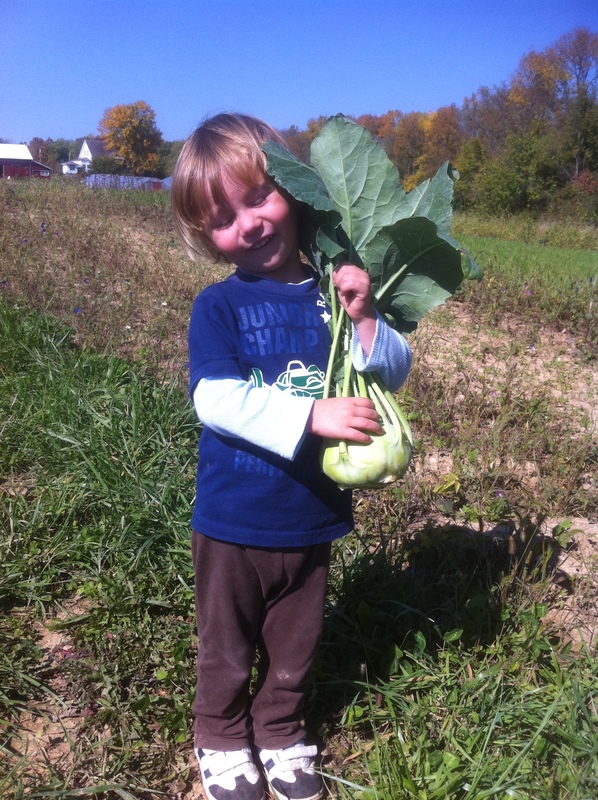 Around here, we eat kohlrabi like apples! Kohlrabi is also delicious cooked. Here are some recipes to get you started.